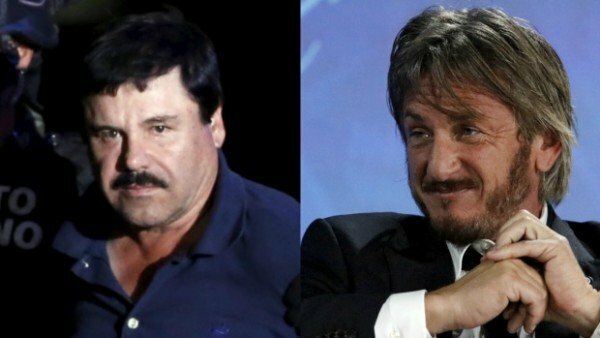 Sean Penn says he has no regrets regarding his secret interview with Joaquin “El Chapo” Guzman. The actor has been asked by the AP if he was worried about images that claimed to show Mexican officials watching him before the visit. “I’ve got nothin’ to hide,” Sean Penn wrote back in an email. Mexican drug lord El Chapo Guzman was captured on January 8, three months after their meeting and six months after escaping from prison. Sean Penn did not answer questions about whether he should have let El Chapo Guzman read his story in advance of publication, or whether he did enough to protect his source. The actor was criticized for the interview – a White House spokesman said it was “maddening”, while Republican presidential hopeful Marco Rubio said it was “grotesque”. The US has filed a request for El Chapo Guzman to be extradited to face charges of smuggling vast amounts of drugs into the country. On January 11, Mexican officials said the process to extradite El Chapo Guzman to the US could take at least a year. Sean Penn’s interview with El Chapo Guzman was conducted in the Mexican jungle, and unnamed Mexican officials have said the meeting helped them catch the 58-year-old boss of the Sinaloa drug cartel. El Chapo Guzman has been returned to the maximum-security Altipano jail. In July, he had escaped from there via a tunnel dug to the shower in his cell. In the Rolling Stone magazine article, El Chapo Guzman said he was the world’s leading supplier of heroin, methamphetamine, cocaine and marijuana. The Mexican authorities have not said whether they would investigate Sean Penn and Mexican actress Kate del Castillo who arranged the interview with El Chapo Guzman.